Don’t mistake the 2019 Maserati Levante for a common SUV — this car comes to you in rare form. The new Levante also gives you access to several entertainment and multimedia upgrades. 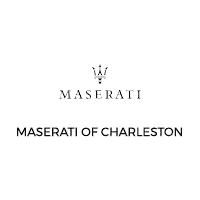 If you’re interested in the Levante or anything else from the Maserati portfolio, head on over to Maserati of Charleston. Schedule your personal test drive around Charleston with one of our team members today. Nero Ribelle Mica 2018 Maserati Levante AWD ZF 8-Speed Automatic 3.0L V6 Black Painted Brake Calipers, Mica Paint, Panorama Sunroof. Baker Motor Company of Charleston was founded in 1988 by Tommy B. Baker and is the largest privately held automobile dealer group headquartered in South Carolina. The company operates manufacturer-authorized, new car dealerships representing 12 brands including Porsche, Rolls-Royce Motor Cars, Mercedes-Benz, Sprinter, smart, INFINITI, Maserati, Jaguar, Land Rover, Buick, GMC, and Cadillac. The company also operates two high-line pre-owned centers, a reconditioning center, and a full service, USAA and State Farm Insurance-approved collision repair center. $599 Dealer Closing Fee is included in the advertised price. New vehicle pricing includes all offers and incentives. Tax, Title and Tags not included in vehicle prices shown and must be paid by the purchaser. While great effort is made to ensure the accuracy of the information on this site, errors do occur so please verify information with a customer service rep. This is easily done by calling us at (843) 996-1449 or by visiting us at the dealership.